While many people – music aficionados and nice ordinary folk – were looking the other way, the baritone saxophonist B.J. 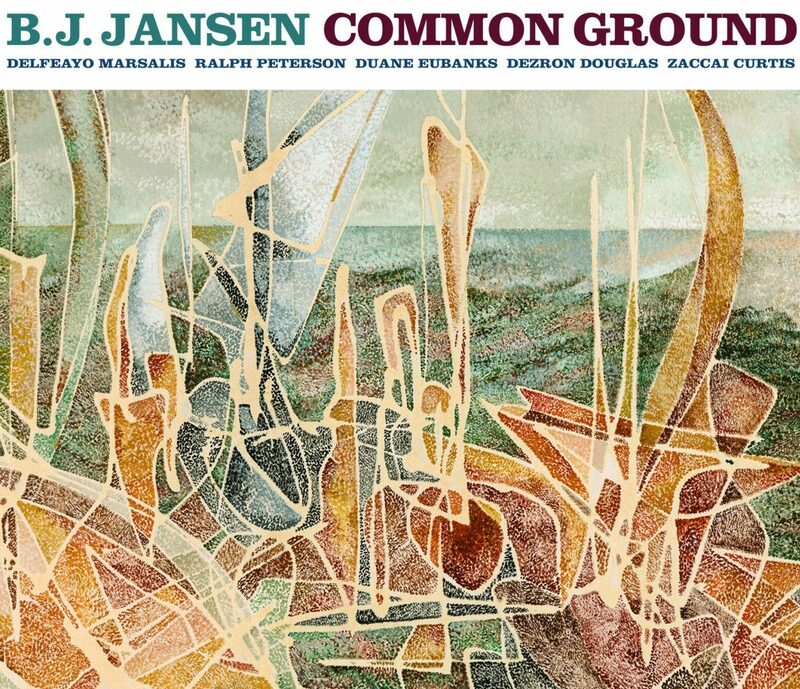 Jansen was busy carving a niche for himself in world inhabited by the likes of Harry Carney, Cecil Payne, Pepper Adams, Ronnie Cuber, Gerry Mulligan and other baritone saxophonists who make up a pantheon of baritone saxophone gods located – as always – between earth and Valhalla. And while he may not yet be admitted into that haloed temple yet, there is every indication that with Common Groundhis knock on the great oak door is louder than ever. Mr Jansen’s voice is singular, built on the low growl of his baritone saxophone he comes into his own with quivering tremolo, astute dynamics and the lonesome throbbing sound made from great gulps of air which are then circulated through the formidable instrument, finally emerging in round viscous moaning notes and phrases of haunting beauty. The title of the album: Common Ground has a myriad connotations. First, a shared experience between these musicians – including trombonist Delfeayo Marsalis and trumpeter Duane Eubanks whose dynastic credentials and performances in the intricate contrapuntal melodies here are impeccable; and then there is incredible drummer Ralph Peterson, who was fostered by the great Art Blakey, Dezron Douglas, a bassist with of enormous talent and virtuosity, who shines bright whether playing con arco or pizzicato and finally Zaccai Curtis, an introverted pianist whose approach to the his beloved instrument is highly poetic, yet far less ornamental than many who strive to play like him. The music these men make together is yearning and full of exciting, visceral twists and turns that always sound quite magical because they seem to come out of nowhere that you would expect them to. Secondly, Common Ground is a heartfelt homage to the Blues and Jazz both of which share a ‘common’ heritage located deep in the continuum of music that began where all life began: in Africa. But far from being gratuitous, fawning music stuck in a time warp, this music steals from its ancestral libraries and re-voices the literature in interesting new ways. Thus the sacred and the secular become strange bedfellow, but bedfellows nevertheless. “Brandon’s Blues” is a fine example of how the ‘Holy Rollin’ can combine with an almost profane sensuality and is just as likely to have come from the sacred source that “Common Ground” does, being as it is, a proverbial doffing of the hat to John Coltrane’s “Psalm”, the fourth movement from an album that changed the landscape of Jazz, the iconic A Love Supreme album.